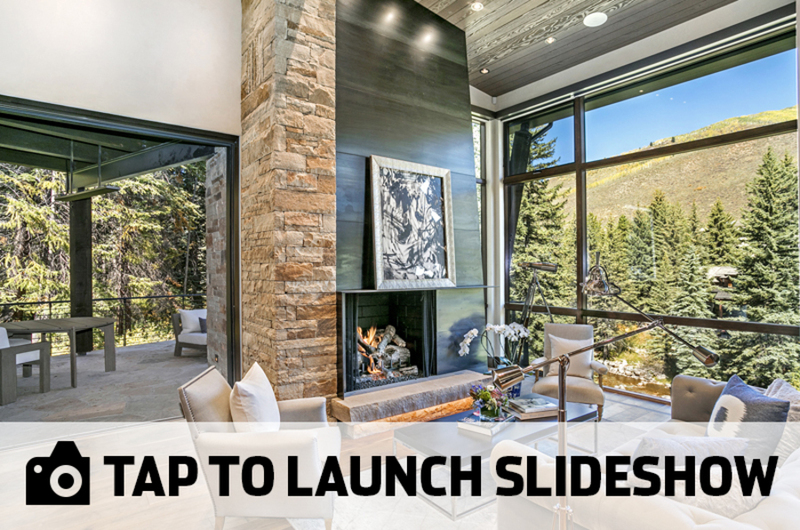 VAIL, Colo. – This week’s Colorado Dream Home is a brand new house overlooking Gore Creek in Vail. Located on Beaver Dam Road, the nearly-4,000-square-foot home is a luxurious combination of rustic and contemporary styles, with clean lines and lots of natural wood and stone throughout. It's listed for $11,950,000 by LIV Sotheby's International Realty. Top-of-the-line finishes include a gourmet kitchen with stainless steel appliances, a stone fireplace and floor-to-ceiling windows for taking in the home’s natural surroundings. In addition to four bedrooms and six bathrooms, the home features a media room, elevator and a spa with a sauna. For more information on this property, log on to livsothebysrealty.com .